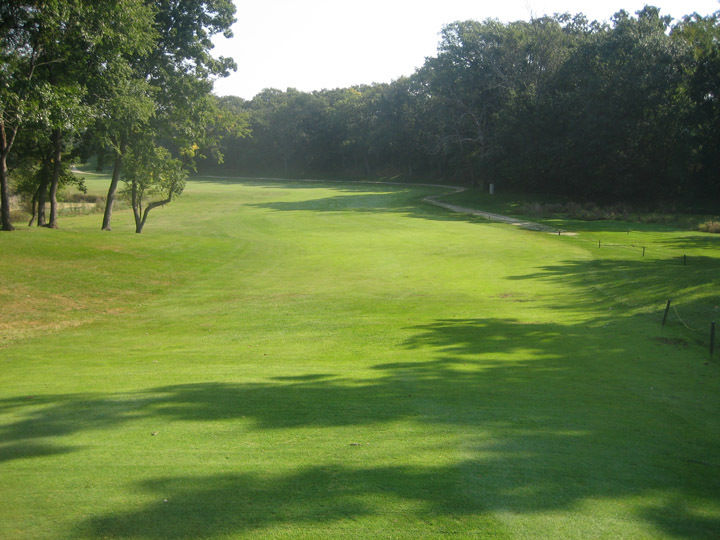 Kettle Moraine Golf Club is set in the midst of an absolutely gorgeous area of land, in the heart of the famous Kettle Moraine. The outset of the course is populated with tall reeds, large marshlands and swarms of huge sandhill cranes, making for beautiful scenery and a true escape from the city. Those are some of my favorite things about Kettle Moraine Golf Club. The track itself is pretty well thought out, but lacks the care that is required to cultivate a really nice golf course. 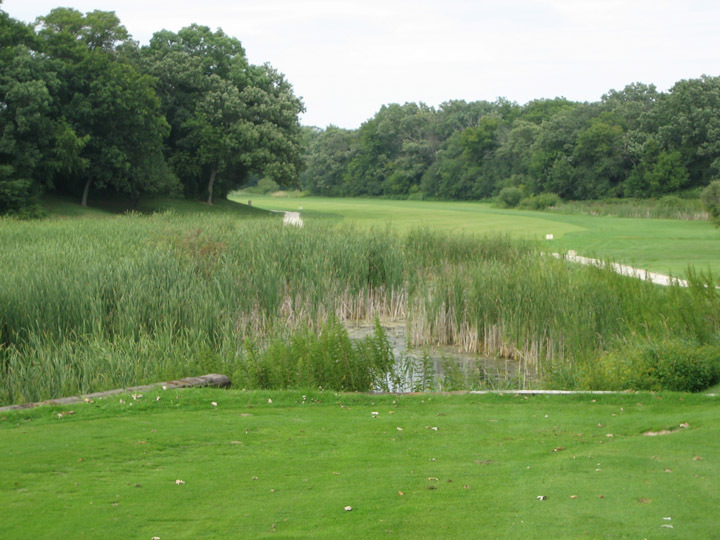 We played Kettle Moraine on a somewhat rainy day, so the sand conditions and slowness of the greens can be at least partially blamed on that. However, there are areas of the course that require serious attention. The most egregious of these areas is the fairway on the 15th hole. With a drastic dogleg left that then goes uphill, the landing area requires a wood or long iron. 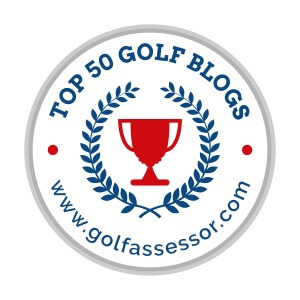 There is a tall white stake that is visible from the tee boxes and looks exactly like a white stake you would see on many courses that is placed to give a suitable target for your drive. I hit a 7-iron to this stake, expecting to be perfectly placed in the middle of the fairway, and discovered a 30-plus foot pothole of a waste area that looked more like a tarpit than a pond. After dropping my third shot, I was not happy. It would be a pretty nice hole if it was not for this area (and I am sure I would not dislike the hole so much had I not gone in it). Please note almost all pictures were taken from the course’s website, as I was not initially going to rate this course as the day was intended to introduce my girlfriend to the game of golf. The first and third holes are very cool starting holes. The first is a par four that goes downhill on the approach with a slight dogleg left. Anything miss-hit will result in lying up to set up the approach shot, while a shot to the fairway will give you a good chance for a green in regulation. The third is a 134-yard par three from highly elevated tee boxes with a huge, wide green. 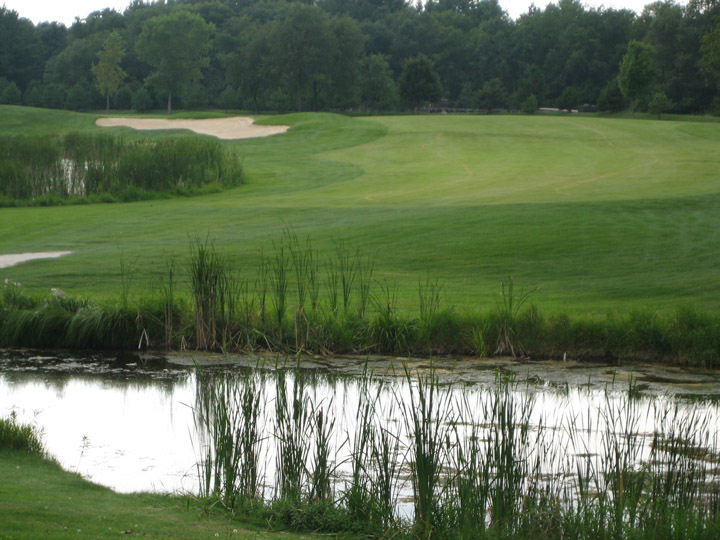 A pond lies on the back-side of the green, as well as part of the right side. This is a very fun, feel-good par three. One of the most challenging holes on the course is the par four fifth hole. At 336 yards to the landing area, anything to the left will be locked out from a good approach. Playing to the left or middle will leave you a chance, but is well uphill to the green. The pin location was actually all the way on the left side of the green when we played, which was an almost impossible shot from even 50 yards. 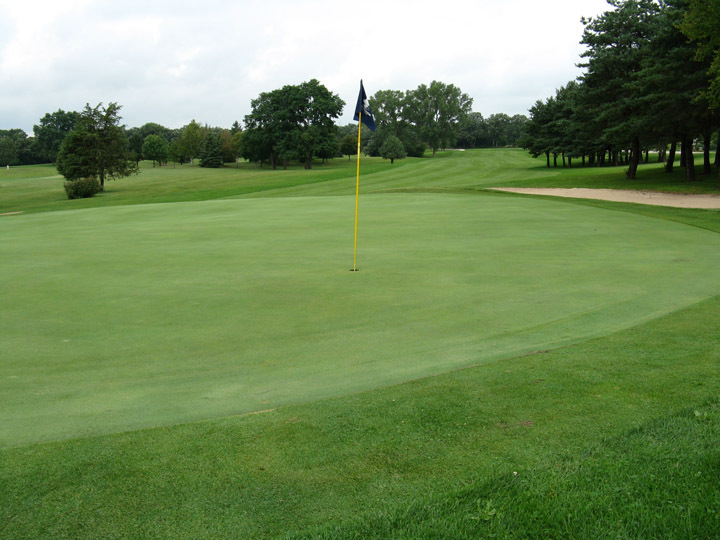 The green is very sloped from the right to left, and runs slightly uphill from the front. The front-left is actually more of a butte than hill, which made the hole location very difficult, but interesting. Probably my favorite par three on the course is the 178-yard seventh hole. 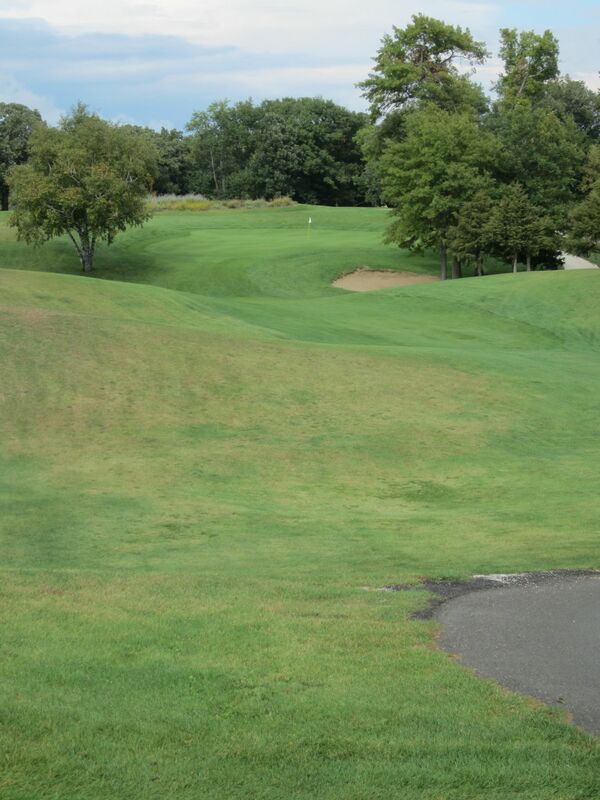 With elevated tee boxes, the fairway goes downhill, and then back upwards between large trees to a high green. The sand traps front-right are very much in play, and leave a difficult approach. The tree on the left is also a big concern, as hitting it will leave you below the green with a touchy approach, as well. This is a very nice looking par three, and quite challenging. 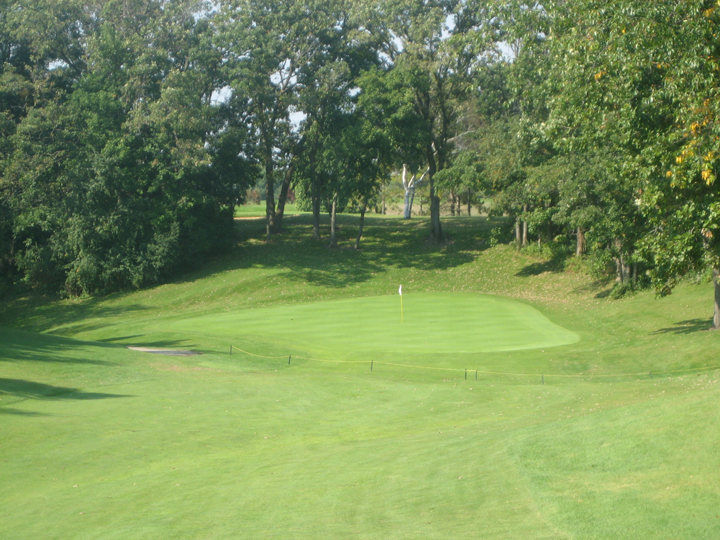 The ninth hole features probably the toughest green on the course, with a huge climb about two-thirds of the way to the back side of the green. Knowing this, definitely club up for a flag location in the back of the green, as anything on the front has a good chance of rolling right back to where your putt started from. The 11th is another very cool hole. 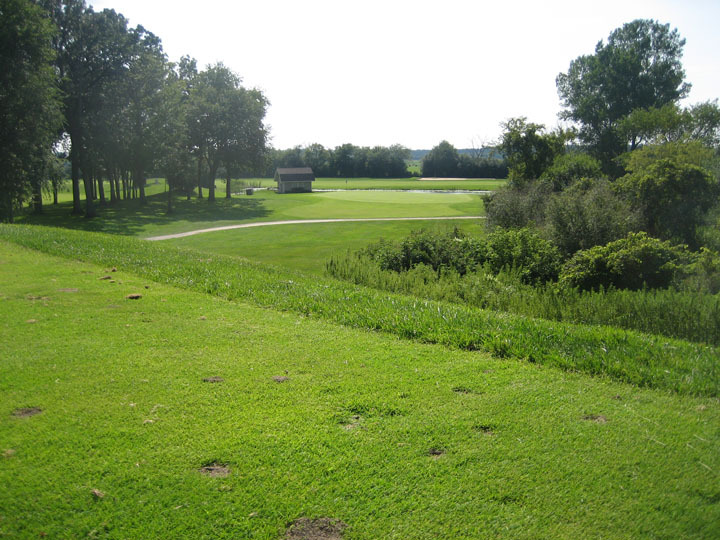 With most of the trouble to the left side, including a large pond and tree-line that will bar any approach shot, a tee shot to the left side of the fairway will leave a chance at hitting the green that lies on the top of a fairly tall hill. The green drops off to the right side, and the uphill run makes this hole seem considerably longer than 400 yards. Another of my favorite holes on the course is the par five 12th hole. At 525 yards from the white tees, this hole starts with narrow tee boxes alongside a huge marshland area to the left, with a drive out to a fairly narrow fairway. 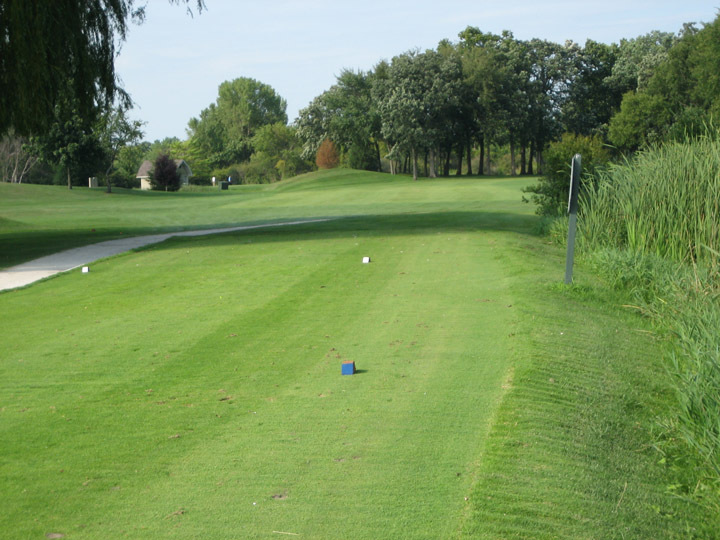 Trees run alongside the right side of the tee boxes, and a good drive is almost essential. Following a dogleg left, the green is fairly small and sloped. The one thing I do not like about this hole is the fairway: It is littered with huge bumps that look like terrain damage, and is cart path only. The 14th is probably the most fun driving hole on the course. With elevated tee boxes, the tee shot has a lot of room for error, except long. The drive runs out fairly straight with a sharp dogleft left with a huge sand trap on the left. This was a fun hole to grip it and rip it on. The course ends with another nice par three. At 152 yards, the shot is well downhill, and surrounded by trees and sand. Stay left if anything, as the trees are sparse enough to leave a shot from almost anywhere off the green. Anything right will prove to be much more difficult, especially from the sand. 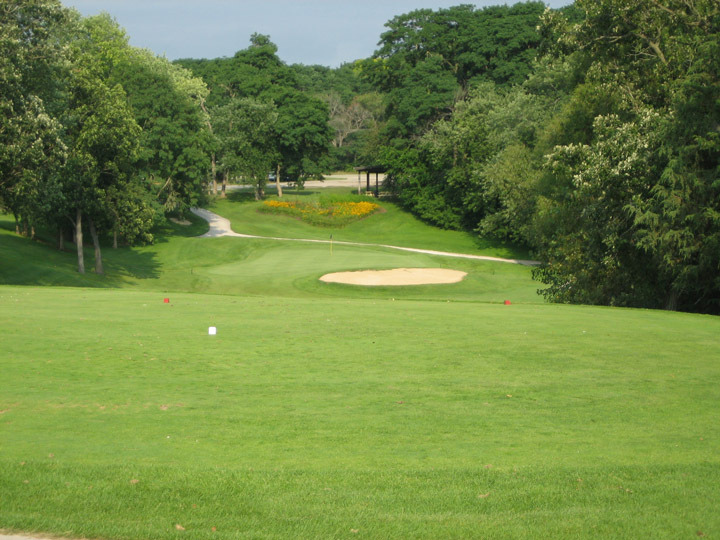 Kettle Moraine Golf Club proved to be a fantastic course for beginner golfers, and offers quite a bit in terms of challenge and variety of shots. 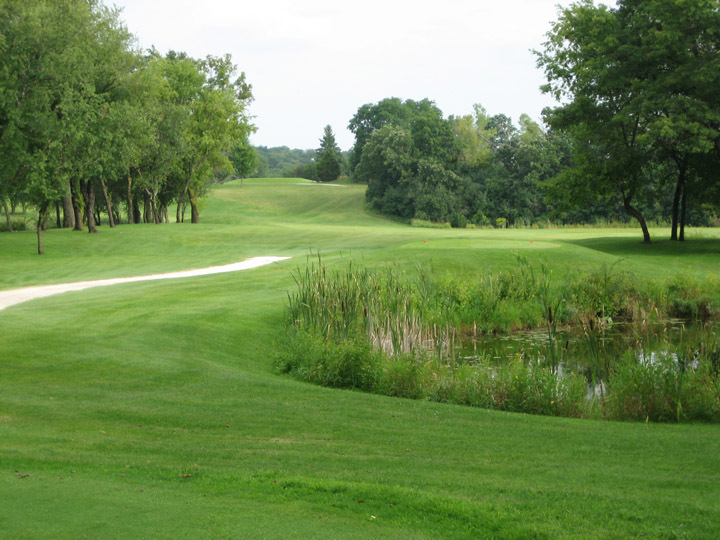 The scenery, layout and facilities are well thought out, but the course itself certainly needs some work to put it in the same category as other woodlands tracks like Nagawaukee or Fairways of Woodside. I would certainly recommend this course for new golfers, as well as for players looking for an inexpensive round on a fun course with a very municipal feel.